Siliconera interviewed Toriyama and Kitase and they posted what went on. I'll just copy and paste it here for people to read. The questions are in the ""
Serah, Lightning’s sister, is the main character and while Lightning is in Final Fantasy XIII-2 everyone believes she is dead. In addition to changing protagonists, Square Enix peppered areas with hidden items you can reveal with Serah’s moogle, made monsters allies in battle, and designed the game with branching paths. Everyone caught up? Good. "The theme of Final Fantasy XIII is fighting your destiny. What is the theme of Final Fantasy XIII-2?" Motomu Toriyama, Director: Rebuilding or playing through the revival [of Cocoon]. At the end of Final Fantasy XIII, Cocoon collapsed and the world was destroyed. In Final Fantasy XIII-2 you will rebuild the world from scratch. "Why did you decide to make Serah the main character?" Serah is Lightning’s young sister who turned into a crystal in an early point in Final Fantasy XIII and Lighting goes on a journey to rescue her. In XIII-2, it’s the other way around; the two characters switched places. Lightning still plays an important role in the story, but the main character you play as is Serah who is looking for Lightning. "In the demo, I saw Lightning was playable. How often will players be able to use her in Final Fantasy XIII-2." I can’t tell you exactly how playable to use Lightning in the final game. I can tell you – you will mainly be playing as Serah and Noel. "Can you tell us more about Noel, how he fits in the game and why you wanted to make him a main character in Final Fantasy XIII-2?" If you looked at Noel and his costume, it suggests he is a native resident of Gran Pulse. In Final Fantasy XIII the story is about Serah and Lightning all took place in Cocoon. Noel who has always been in Gran Pulse has no idea what happened to the sisters, the main characters in XIII. 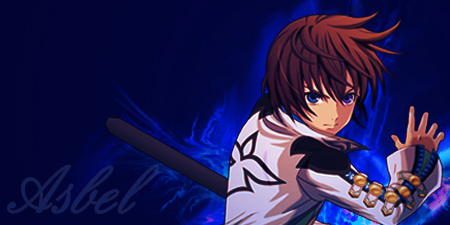 If you haven’t played XIII before you can find yourself almost like Noel because he’s detached from what happened in Final Fantasy XIII. These players can enjoy the events as a new experience. "Will there be any other characters aside from Serah, Noel, and occasionally Lightning." At the moment, I can tell you Serah and Noel will be the main characters you play, with Lightning coming in sometimes. There will be over 150 types of monsters you can recruit and you can control these monsters, as well. Almost all of the main characters from Final Fantasy XIII will make an appearance in some way or another. "Will there be any new playable characters aside from Noel… and the monsters?" [Laughs] We can’t disclose anything at the moment. Please be patient and you will find out. "How did the reception of Final Fantasy XIII affect the sequel? Did you incorporate any fan feedback into Final Fantasy XIII-2?" Yoshinori Kitase, Producer: We made Final Fantasy XIII with the concept of a story driven game. So much so, some gamers were not very happy with it and criticized XIII and said the game progression was too linear and the world could be more populated. With Final Fantasy XIII-2, we wanted to present a completely different experience with this game. There is more exploration and elements in the environment to interact with. "Another change is Final Fantasy XIII-2 has multiple objectives. How do these effect the gameplay, will we perhaps see different endings?" YK: I can’t say much about story branches, but what I can say is we are incorporating lots of replay value. We envision players won’t just play the game for a single playthrough, we want you go through many laps. Each time you go around leading towards another completion there are a lot of discoveries you can find. This leads into the game’s multi-ending system. "For the new hardware, PlayStation Vita and Wii U, are you planning on working on any Final Fantasy titles for those platforms?" YK: For now we are focusing on the three titles to come – Final Fantasy XIII-2, Type-0, and Versus. While we have no plans at the moment, we’re going to come to a point when we have to decide how we’re going to do our best with these new consoles.